The Kenmore Series 70 washing machine, once available exclusively at Sears, is an extremely durable machine. The Series 70, one of the more popular models, has several different model numbers that were manufactured. The Series 70 washing machine is no longer available for purchase though, as it has been replaced with more advanced machines such as the Kenmore Elite. The Series 70 is an efficient, gas-powered, top-loading machine which features a large washing drum, among other features, to rival any front-loading machine. If you should need to troubleshoot a problem with your Kenmore Series 70 washing machine, easy access to components can be gained by pulling the machine from the wall and removing the rear panel. Unplug the washing machine from the power supply before removing any components for troubleshooting. 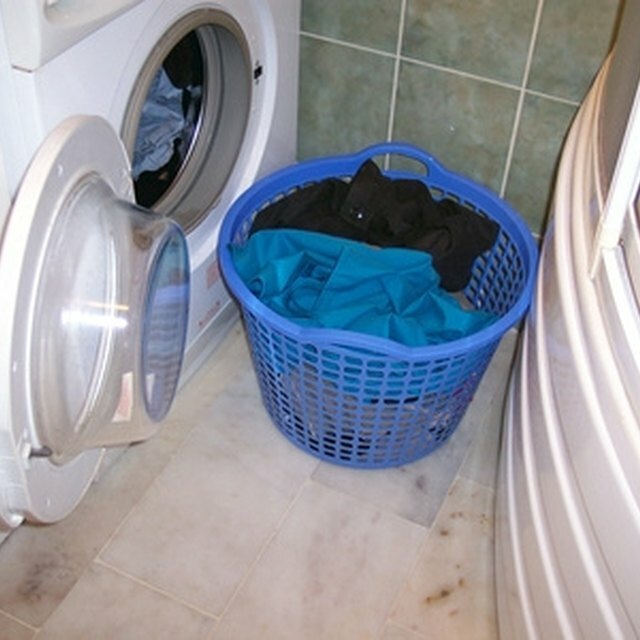 Pull out the Kenmore Series 70 washing machine so that the back is accessible. Locate the fastening clips on either side of the back panel of the washer. Use a flat screwdriver to remove the spring clips on both sides. This will release the door. Slide the door panel up to remove. The components of the washing machine, such as the belt and other inner-workings, will be accessible when the rear panel is removed. Refer to the owner's manual for common problems when troubleshooting. Why Does My LG Tromm Washer Have a Musty Smell?